SEARCHING FOR THE BEST INTERIOR DESIGN COMPANY FOR HOME RENO? Read this handy guide in finding the right interior designer as your home renovation partner. 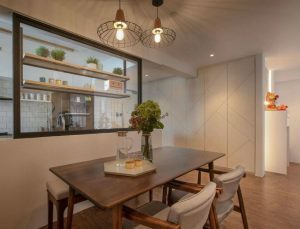 Whether you’re building your first nest or moving into your second home, it’s likely you’re looking for an interior design company in Singapore. While many may claim to be award winning interior designers, having a guide makes it easier for you to identify the most essential qualities. Consider the following tips, before starting on your search for a reliable interior designer in Singapore. INTERIOR DESIGN IS A TWO-WAY STREET. A successful renovation project starts with open communication between homeowner and interior designer. In fact, with any interior designer firm as to offer, communication is the key to creating your ideal home. The interior design company should be able to provide regular updates, especially if you’re busy with work or traveling. At the same time, testimonials from customers speak volumes about a firm’s attentiveness and accountability. No interior designer company can ignore that. For instance, over the past 20 years, SYRB has garnered scores of testimonials from our contented clients. CREATING A SPACE WITH A STORY. Every interior design company in Singapore has some basic knowledge of design trends and space-saving solutions. But, the ones worth their salt will be able to design a home unique to your lifestyle. 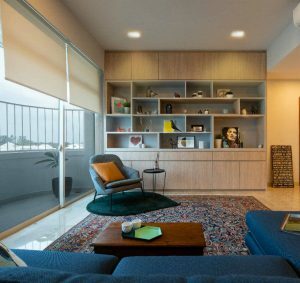 By adopting a holistic approach to interior design, they’ll be able to tell your life story through novel customisations and unique design elements. Here at SYRB, we go the extra mile for your renovation goals. We’re all set to provide the practical and creative solutions your dream home needs. A well-established interior design firm in Singapore should have experience in both residential and commercial markets. While researching for home renovators, be sure to take a look at their commercial portfolio. A company that has worked with a variety of facades (such as display windows and ceiling décor) across various industries indicates a wide range of skill and flexibility. This also means that the firm has a strong grasp on a brand’s story and identity. These insights translate well to residential interiors – giving them an edge over another less established interior design company. Interior designers in Singapore can come from anywhere. Some started as decorators, others were trained as architects, and there are those who studied interior design. These degree holders tend to be equipped with a stronger foundation in both aesthetic and architectural principles. Coupled with stringent training and international exposure, they’re geared to produce top-notch results. Thanks to our team of experienced designers, SYRB has stood out as interior designer Singaporeans trust. LET QUALITY SPEAK FOR ITSELF. Just being able to design fancy blueprints doesn’t make a trusted interior design company. As a customer, you should find out the quality of the subcontractors, and how well the firm works with them. After all, exceptional service and quality workmanship is the mark of top interior designers in Singapore. The ideal home renovator should be a one-stop solutions provider. If on-the-fly customisations are required, will they be communicated effectively to their partners? Here at SYRB, we’ve chosen to invest in an in-house workshop, so that the quality of our work is within our control. Lastly, pay special attention to interior companies that keep their lines open, even after the project is completed. A responsible firm will deliver on every aspect of the job, while staying accountable to the finished product. For SYRB, the hallmark of good service is after-sales care. This is why we’re providing a 12-month warranty on all works carried out by SYRB. More importantly, we’re making a lifetime commitment to maintain the relationship built with every customer. Interior design is a vast topic. To supplement your research, you can visit online forums which provide reviews on any highly recommended interior designer, Singapore-style. And while word-of-mouth is often the best testimony, do keep in mind the above pointers when weighing your options. Along with this comprehensive guide, SYRB wishes you all the best in your search for an ideal Singapore interior designer.